Due to the importance of the LSAT, there is a myriad of online resources for LSAT preparation. These resources generally fall into the realms of explanations, communities, or tools. 7Sage for their infamous logic games videos. 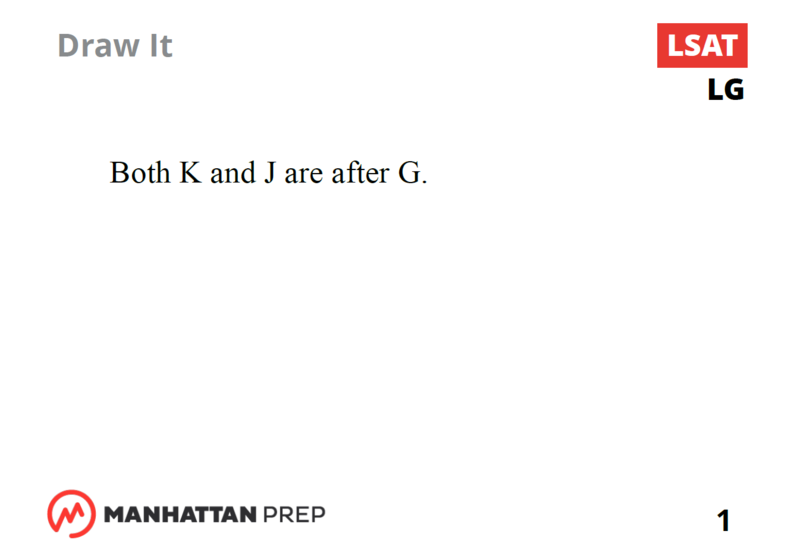 LSAT Hacks for Graeme’s explanations. 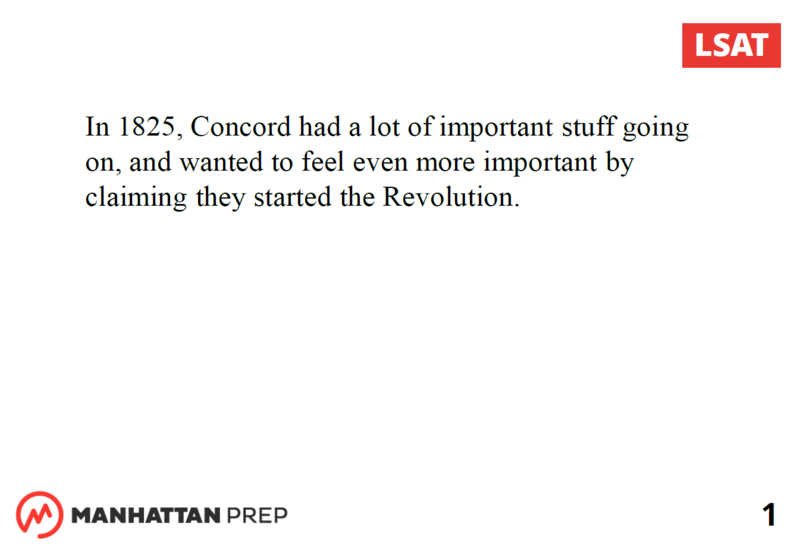 Manhattan Prep for their forums. Velocity Test Prep for their videos. To make things easier, I made a significant effort to include links to each of the above sites on every 180pedia page that has a corresponding page elsewhere and when permitting. 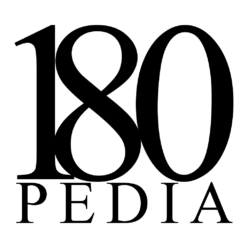 Due to this effort, students can contribute and rely on 180pedia.com’s explanations as well as go elsewhere when 180pedia does not yet have an explanation or the student is not quite clear after reading the 180pedia.com explanation. There are a couple of fairly active LSAT communities where you can reach out to other LSAT students and law school applicants. Top Law Schools forums has active forums specific to LSAT preparation, law school admissions, and more. /r/LSAT is not as active as Top Law Schools forums, but it is a useful community nonetheless. /r/LawSchoolAdmissions is the go to subreddit for Law School admissions advice and information. 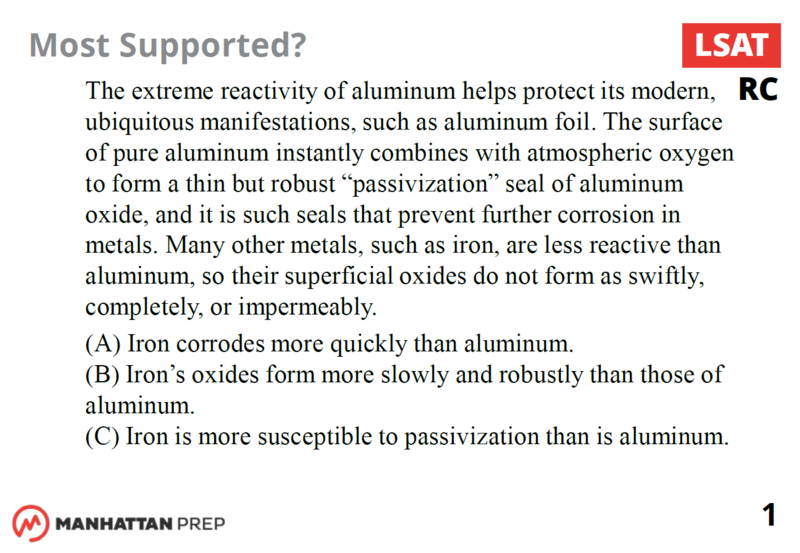 Many sites have great resources beyond their explanations to help you study. This section of the page is dedicated to those tools as well as ones I built while studying. If you have any favorite tools I missed, please e-mail 180pedia@gmail.com. 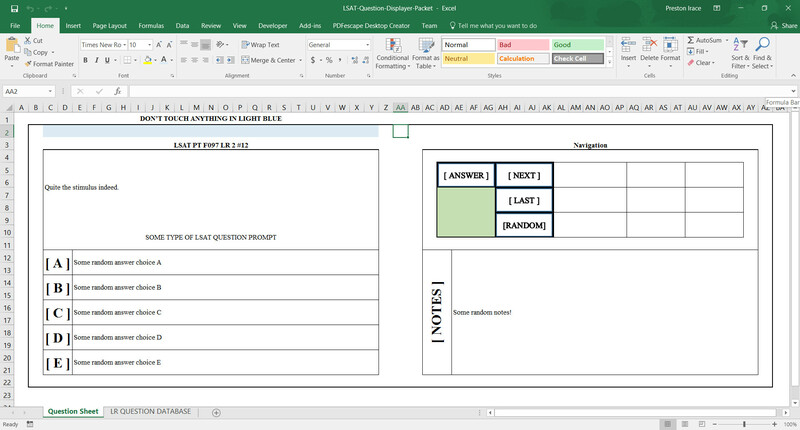 I made 180pedia’s LR Question Display & Packet Creator.xlsm while studying, and, while helpful, I think that it can be more of a time sink than something purely beneficial due to the significant time required to set it up. The 180pedia LR Question Display & Packet Creator can be downloaded using this link. Please note, the file name cannot be changed without causing errors on the display question page. Before using the spreadsheet program, you will need to enter logical reasoning questions manually. Begin by inputting questions into each row on the ‘LR QUESTION DATABASE’ sheet. The file comes with several nonsense records so you can see whether you may find it useful prior to inputting questions. After you have inputted the questions you are interested in, you are ready to use the two primary functions of the spreadsheet program. First, there is the question display. 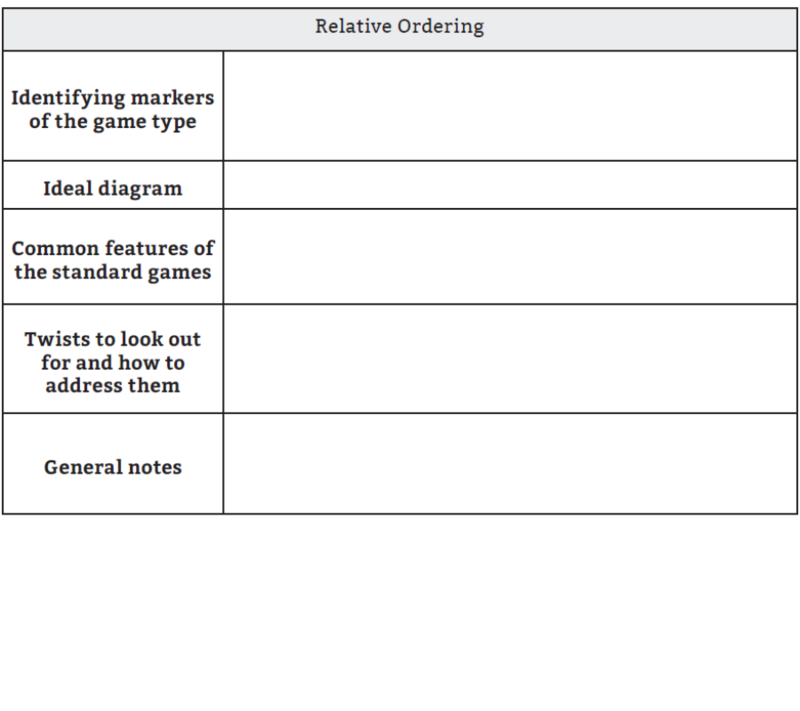 The sheet shown above will display one logical reasoning question at a time, and you can navigate through your list by hitting the Next, Last, or Random buttons. Next will navigate down the list on the database sheet. Last will navigate up the list on the database sheet, and random will select a random entry. 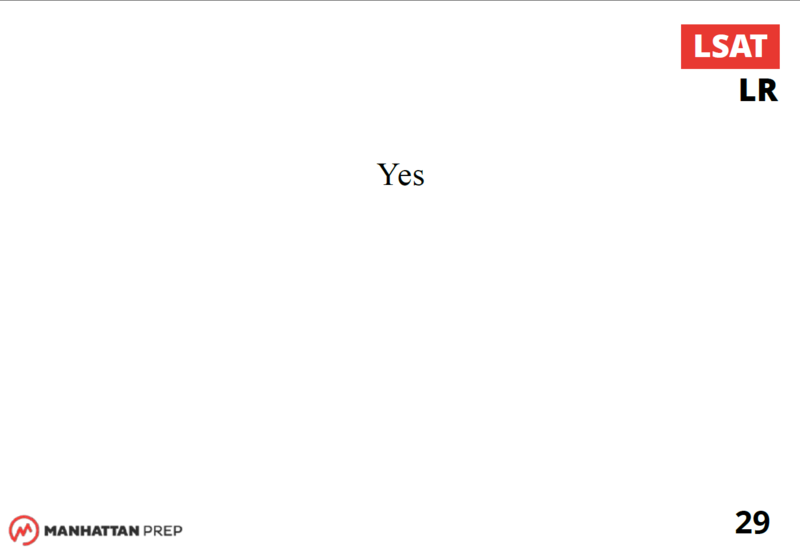 After you think you know the answer, you may hit the Answer button to highlight the correct choice. The answer defaults to being hidden when changing questions. The other use of the spreadsheet program is to create a packet of the questions in your database that you can print. Simply click the button on the database sheet that says ‘Create Question Booklet,’ and the program will simply add the questions to a word document from top to bottom as they appear in the database. 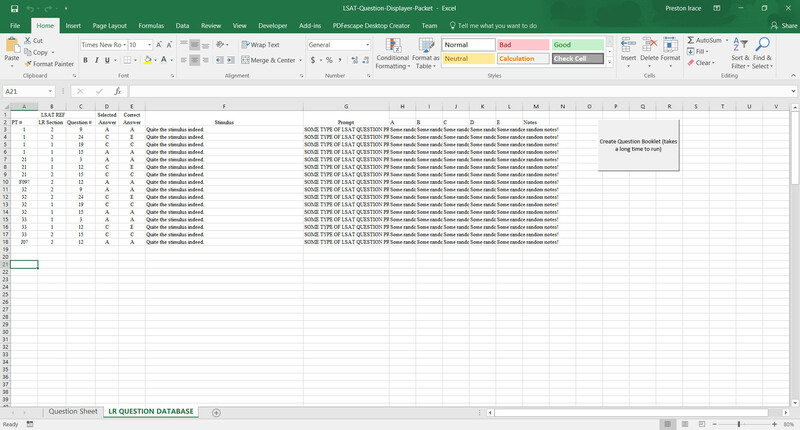 To change the order, you can add more columns to the right of the provided fields on the database page (or add some content to the notes field) and use Excel’s sort function on the table. This process can take some time, as my method of preventing page breaks in a given question is far from the most efficient. After running this, you will end up with a word document that looks like the above. If you think of a better way to redo an entry when there is a page break than using send keys, please let me know so I can update the file! 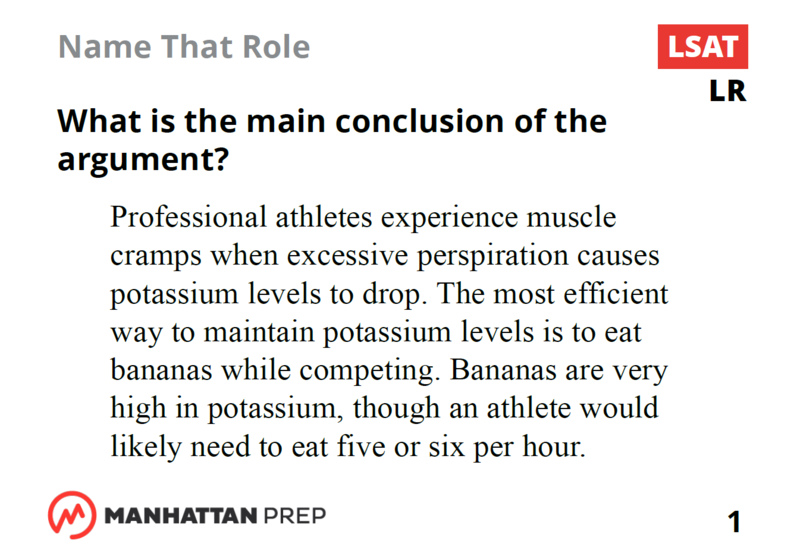 Manhattan Prep have several tools that are free for anyone that registers to their website in addition to their explanations on their forums. These resources include a strategy log for marking questions you either struggled with or got wrong, cheat sheets for the distinct categories of logical reasoning questions and game types, and a multitude of categorized flashcards for reading comprehension, logical reasoning, and logic games alike. 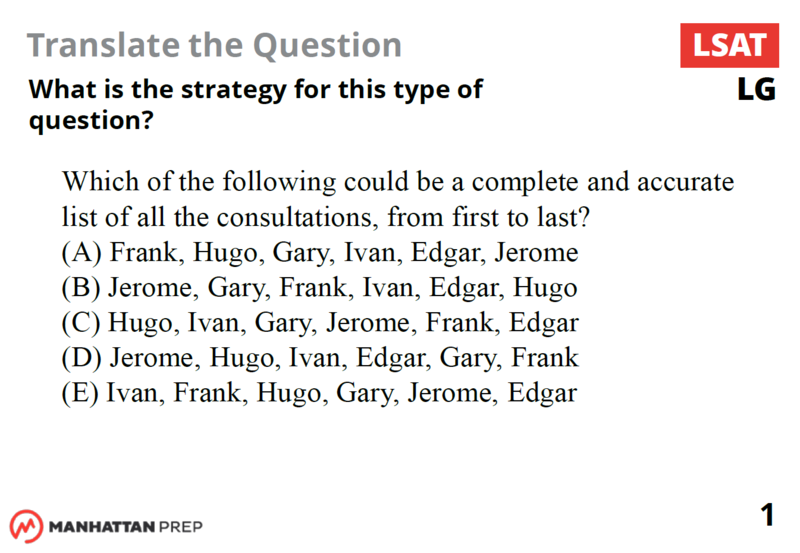 There is a sample of a card from each set categorized by question type below, and you can find the rest by registering at the Manhattan Prep LSAT Student Center. 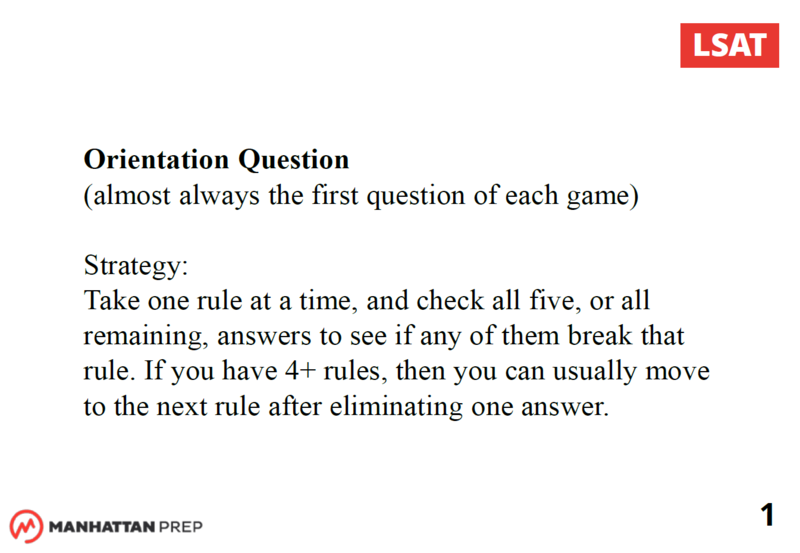 While these cards do not use actual LSAT questions, Manhattan Prep has done a great job on developing quick questions that serve as drills to hone in on the underlying issues prevalent in all sections of the LSAT without wasting valuable actual LSAT content. 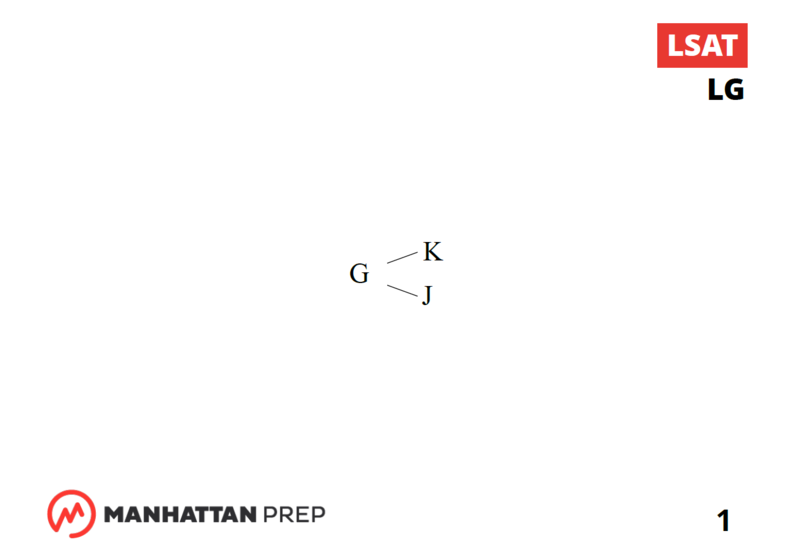 Manhattan Prep’s cheat sheets for logical reasoning and logic games offer a good way to quiz yourself as to whether you understand certain key characteristics of various logic game types and logical reasoning question varieties. 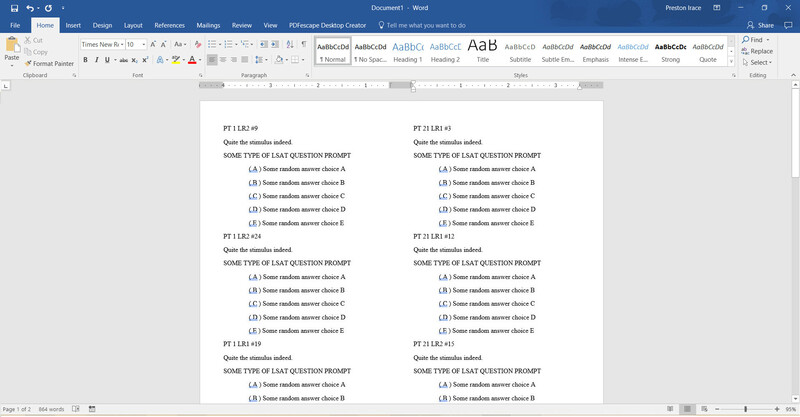 You can use their empty cheat sheets to quiz yourself or study from their completed cheat sheets. 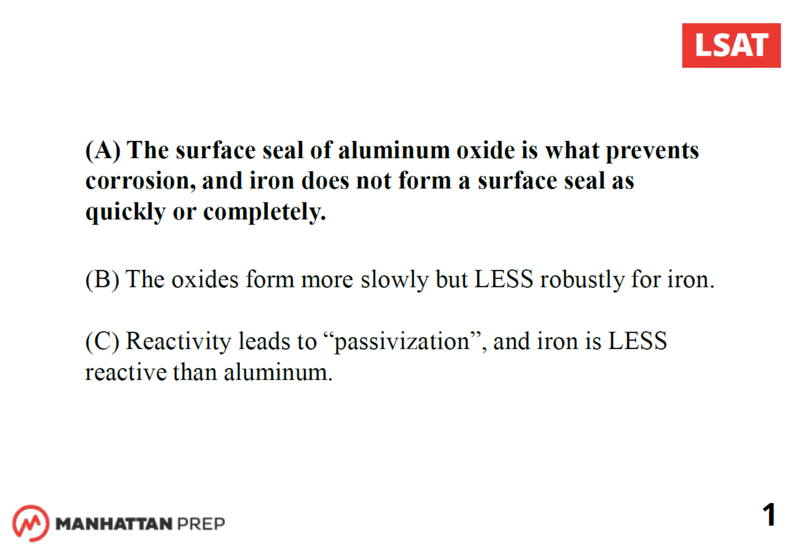 Manhattan Prep’s logical reasoning flashcards allow you to quiz yourself on specific topics that are important in the logical reasoning section of the test. 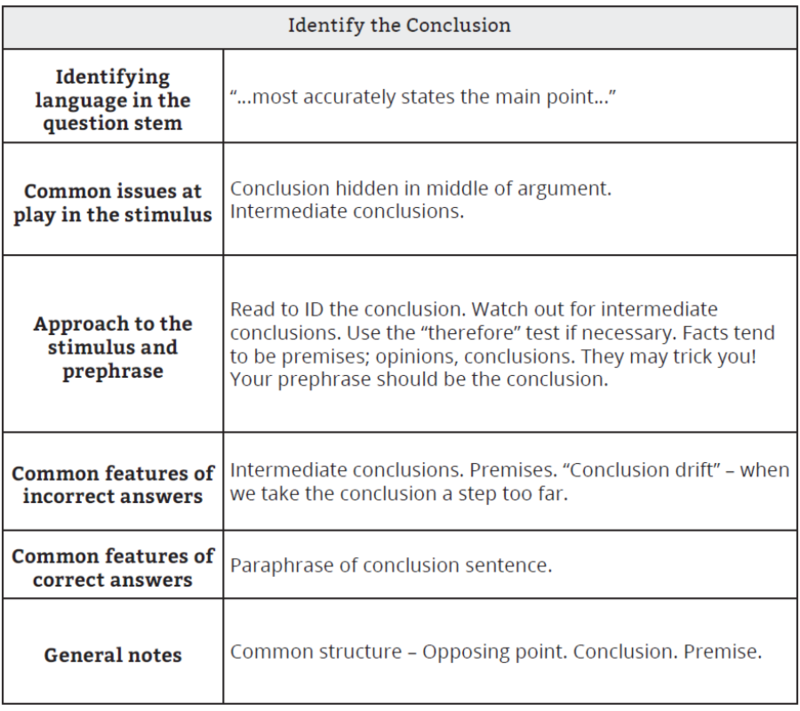 These flashcards touch on important concepts including understanding argument roles, noticing structural indicators, interpreting quantifiers, translating English to logic diagrams, identifying stems by question type, abstracting flaws, determining flaws by type, negating statements, and distinguishing valid and invalid inferences. 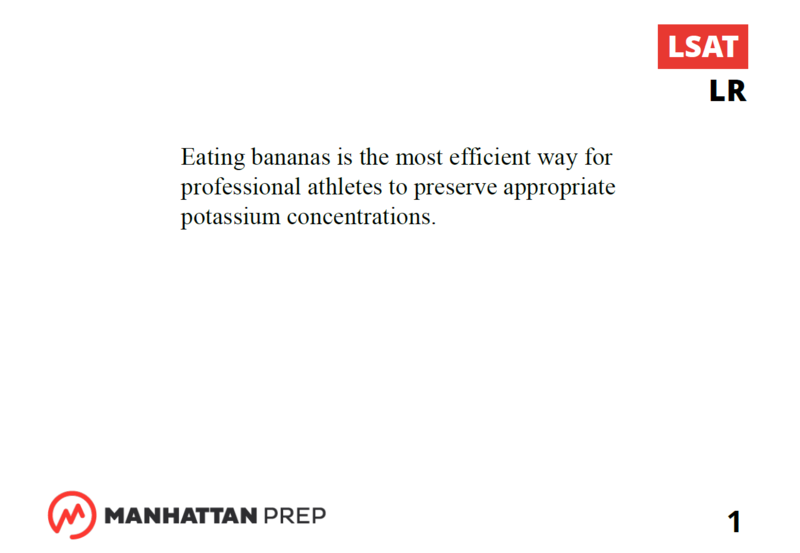 Manhattan Prep’s logic game flashcards allow you to quiz yourself on critical issues that arise in logic games. 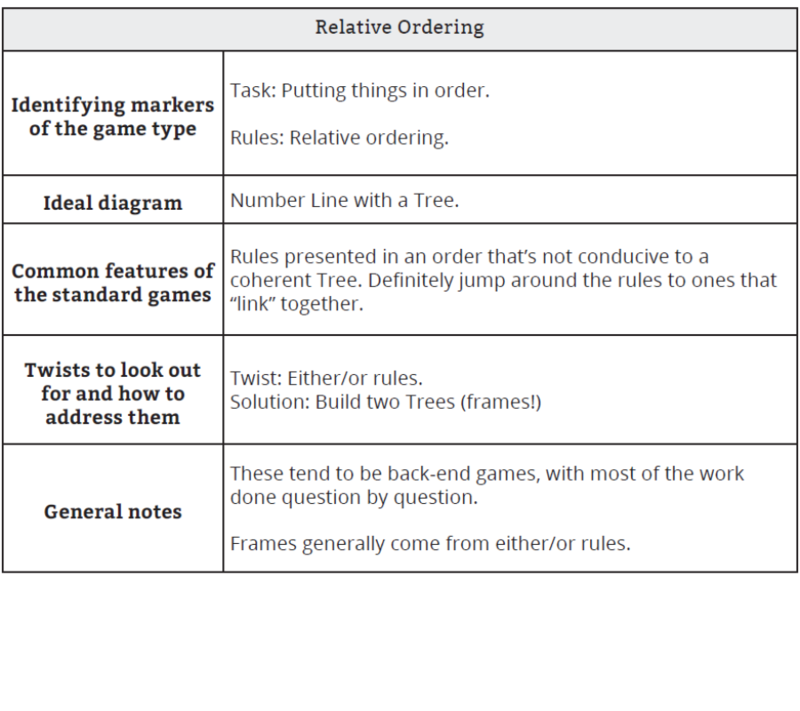 Their flashcards are focused on determining game type by rules, understanding how to identify and approach different game and question types, and answering could be true questions. 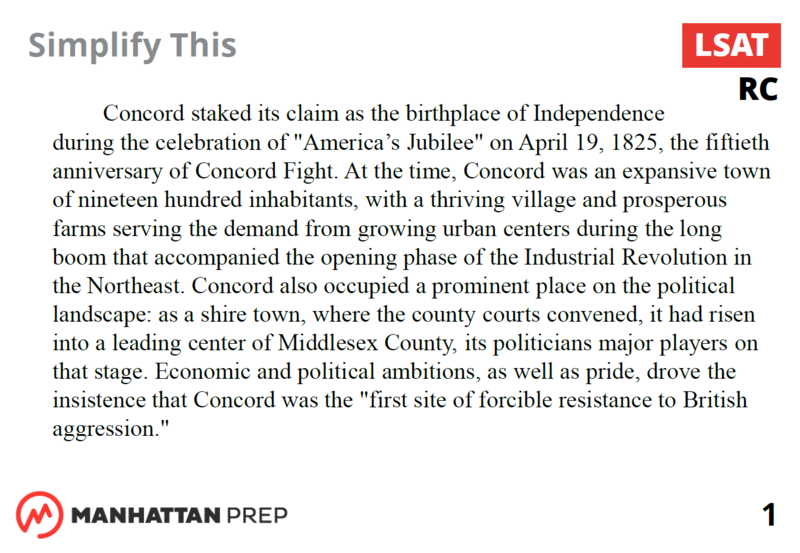 Manhattan Prep’s reading comprehension flashcards focus on two topics. 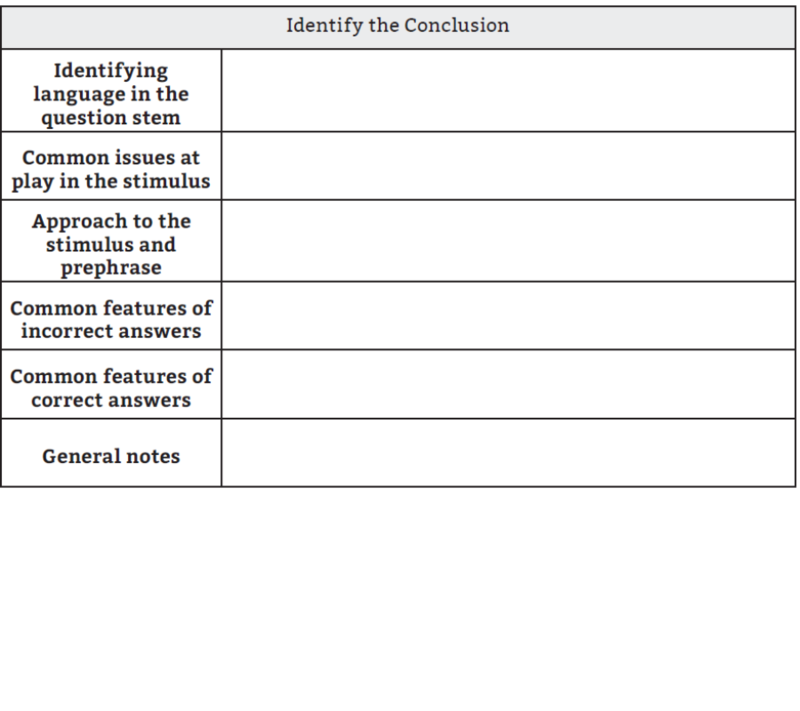 The first topic is learning how to eliminate fluff and developing quick summaries. 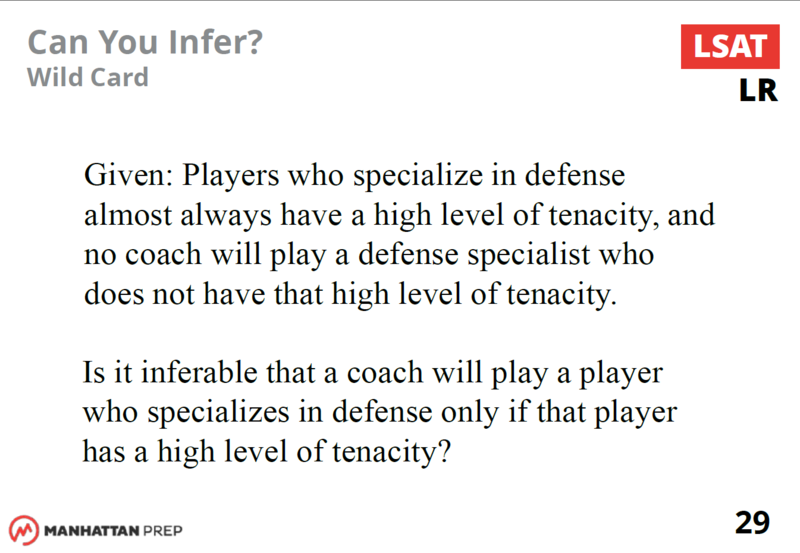 The second subject deals with inference questions, known as most strongly supported, which tend to be the harder and more frequently missed questions on the LSAT.